Duo Duo is the pen name of Li Shizheng, who was born in Beijing in 1951. He started writing poetry in the early 1970s as a youth during the isolated, midnight hours of the Cultural Revolution, and many of his early poems critiqued the Cultural Revolution from an insider's point of view in a highly sophisticated, original style. Often considered part of the "Misty" school of contemporary Chinese poetry, he nevertheless kept a cautious distance from any literary trends or labeling. After witnessing the 1989 Tiananmen Square massacre, Duo Duo left China and did not return for more than a decade. Upon his return to China in 2004, the literary community received him with honor and praise. Duo Duo currently teaches at Hainan University and divides his time between Hainan and Beijing. 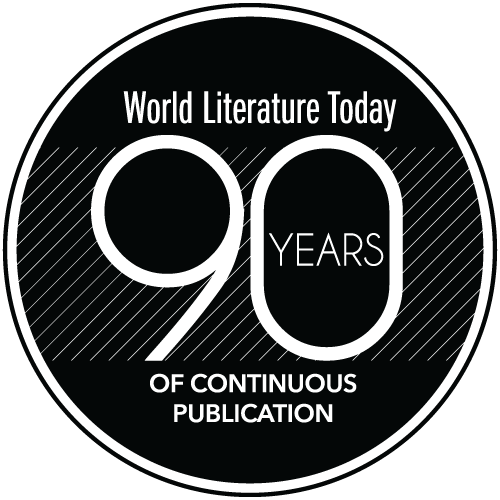 His translations into English include the verse collections Looking Out from Death: From the Cultural Revolution to Tiananmen Square (1989) and The Boy Who Catches Wasps (2002) as well as Snow Plain (2010), a recent collection of short stories. 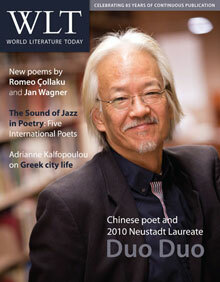 Duo Duo is the twenty-first laureate of the Neustadt Prize and the first Chinese recipient of the award. Read Duo Duo's acceptance speech and three of his poems in bilingual texts.